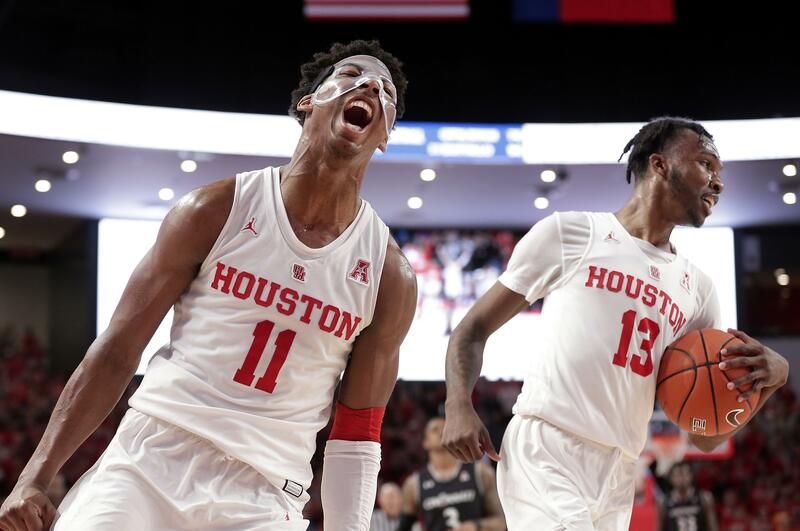 Sun., Feb. 10, 2019, 7:47 p.m.
HOUSTON – DeJon Jarreau scored 14 of his 16 points in the second half, Corey Davis Jr. also had 16 and No. 12 Houston held off No. 25 Cincinnati 65-58 on Sunday. IOWA CITY, Iowa – Jordan Bohannon hit a 3-pointer from 23 feet with three-tenths of a second remaining and Iowa rallied from a 13-point deficit to beat Northwestern. Bohannon finished with 15 points with 3-for-4 shooting from 3-point range, including the winner for Iowa (19-5, 8-5, Big Ten). Freshman Joe Wieskamp scored 21 points, Tyler Cook had 19 points and 11 rebounds, and Isaiah Moss scored 16 points as Iowa won its third straight. Published: Feb. 10, 2019, 7:47 p.m.